This time of year is a constant reminder for myself to slow down, to breathe deeply and to embrace every detail of every single day. It seems much easier to type these words than actually act upon them. In reality, each day is a blur because we are constantly on the go running from one activity or event to another. And when we aren't running we're cooking, cleaning or working. How is it possible that our favorite time of the year becomes a delicately beautiful jumbled ball of yarn? And no matter how badly we want it to unravel it seems we can never undo the knots. This year I am in a race against time, both figuratively and literally. Christmas Eve will be here before I know it, and every year I catch myself saying "I wish I had time to do more before Christmas." But what is more? What is it that we want to achieve before the magical night of Christmas Eve? Is it buy more presents? Bake more cookies? Be present at more festivities and parties? Have one more night of gift exchanges and wine with friends? Another school party or visit with Santa? Maybe this is where the all-so-famous saying of "Less is more" comes into play. Maybe this year I'll trade my "I should haves" in for solid memories of simplicity. The mornings and evenings spent baking dozens and dozens of cookies are being traded in for one or two sessions of quality baking time with the kids. The cookies may not be perfect, but they are perfect to me. Rather than stay up all night wrapping each present with detail and adornments, I'll wrap them in kraft paper and let the kids decorate it. The wrapping may not be perfect, but it would be perfect to me. Instead of letting the kids watch a Christmas show while I carefully address each holiday card maybe I'll let them create and write their very own holiday cards. Now those I know would be perfect to me and any friend or family member would certainly see the care and love that went into each card. This year is about letting go of the hustle and bustle that I always allow myself to get wrapped up in. This year is about embracing simplicity. It's about making my family smile, from the inside to the outside, and creating memories that will last a lifetime. My children will never remember the expensive christmas cards we sent out, the elaborately decorated cutout cookies or the embellished gifts wrapped up with matching bows and paper. 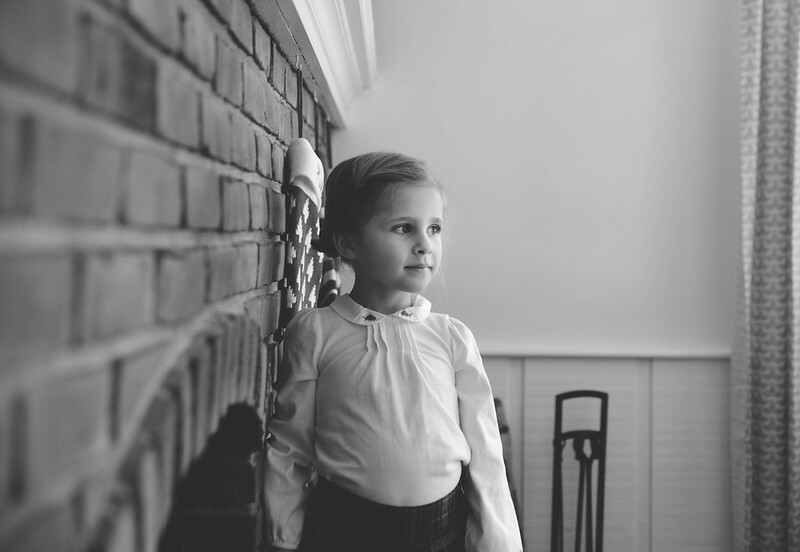 BUT they will remember the night we went to The Nutcracker, the evening we spent hidden in our fort reading stories aloud by the soft glow of Christmas tree lights and they will remember standing on chairs as we hovered over the kitchen countertops to decorate sugar cookies. We all know that Christmas is the time for giving. The best gift I can give my children is time. Quality time spent together and quality time spent with them individually. This is the time where memories are made. This is the time where the joy of the season can be found. And this is the time I hope to hold onto forever. Stuck on You provides name labels, personalized gifts, kids clothing, gifts and more. As a busy mother of three, Stuck on You has helped my life become a bit easier. When you enter our mud room you'll quickly notice a line of labeled backpacks and labeled lunches, you'll see soccer bags and uniforms with name labels ironed on the inside, you'll see labeled water bottles and even labeled shoes. When you have three active children, all involved in sports, labeling items becomes essential! 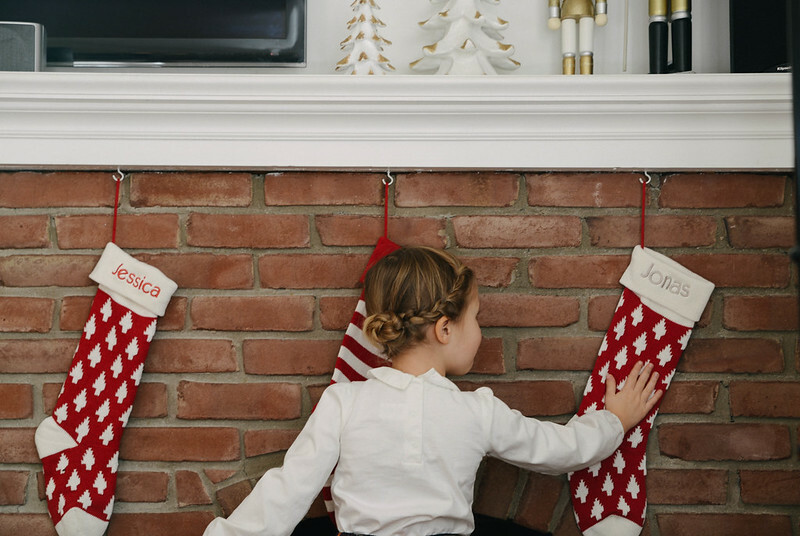 Stuck on You has now made the holiday season a little more special with personalized gifts, stockings and more! You can visit Stuck on You on their website, Facebook and Twitter. Wonderful post, I totally agree and I am having this same experience this year. Yes to simple and memories.